Do you prefer to spend your leisure at casinos? Do the casino games entertain you the most but you don’t get time to play those? With SlotsMagic, you can get your casino on your mobile or computer and fill your pastime with excitement. 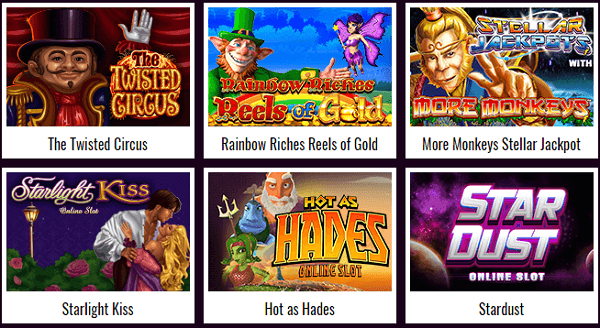 SlotsMagic is one of the incredible casino games that come to you with unique purple and gold theme, and the games you get here are distinctive. The name of the casino sounds the intention of it to grab the players’ attention. Yes, you can get a wide range of slot games including video slots which the developers have collected from the top-rated casino to make their collection better and richer. Until February 2014, this online casino was famous in the name of Jackpot Party. The casino is popular for its slot games to the players, but they also have different other types of casino games. So, you don’t need to wait for weekends to enjoy your favorite casino games. Hit the site slotsmagic.com, and you are welcome to their magical world! You can even play with live dealers if you want to. Before playing in this exciting online casino, you should know a bit more about the online casino. It is quite new online casino as it was established in the year, 2014. There is mixed software available for a variety of games in SlotsMagic. It has WMS which is particularly made for slot games. These are only a few gems from the sea. There are more lucrative games to turn your boring leisure into fun time. If you want to try your luck in card games, you can find certain table games like roulette, blackjack, and baccarat. There are three live dealers where you get the opportunity to deal with them. But, when it comes to table games, the other casinos are better than this one. But, we are not here to talk about this only drawback of the site as it has done complete justice to its name and had lots of slot games to enjoy. If you are a crazy fan of spinning reels, you will get your lifetime opportunity to play myriads of games. You just need just to pick one game and play it. The site, www.slotsmagic.com offers no apps for Android, iPhone or iPad. Still, you can play all the interesting games on your smartphone or tablet. How? 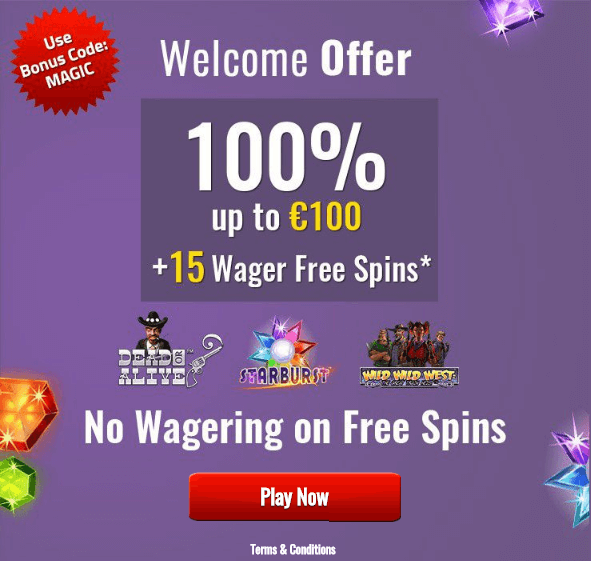 You just need to visit the main page of Slots Magic Casino. Once you visit their site, you will be automatically redirected to the responsive department of the site. You need to open an account, and whenever you feel like playing, you can just log in to your account and start enjoying. While you are playing from your smartphone or laptop, you will get more than 100 games to have fun. Isn’t that amazing! While you are a beginner, you want to get connected with such a casino where your data and information will be kept strictly secret. Now, while you are logging into their site, you have to provide some of your information, like name, address, contact details and all. When you are dealing with SlotsMagic casino, you don’t need to get afraid about all these matters. This site never publishes any details about RTP percentage. As a proof of their fairness, you will be glad to know that iTech Labs certify SlotsMagic casino in the case of fairness. 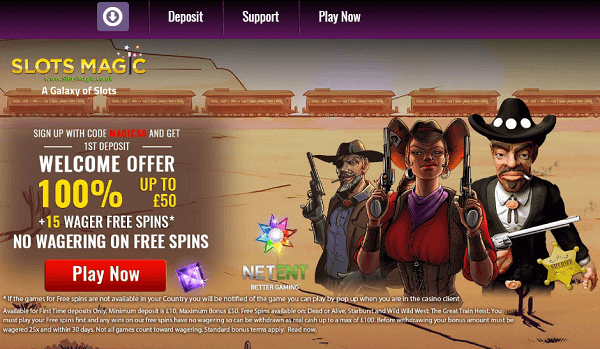 They are licensed by the UK Gambling Commission which will assure players about the impartiality of the site. 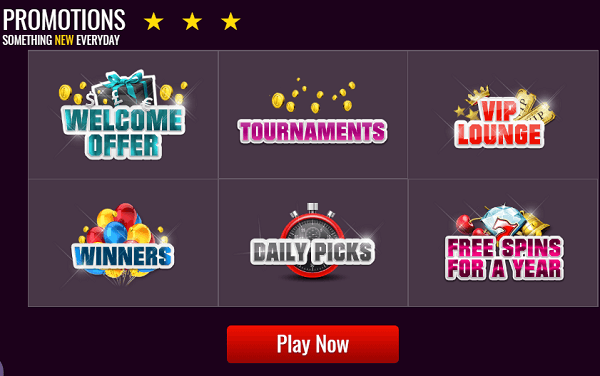 Apart from bonuses, the attractive promotions on this site include weekend race offers, deposit bonuses and special VIP programs for VIP members are also available here. 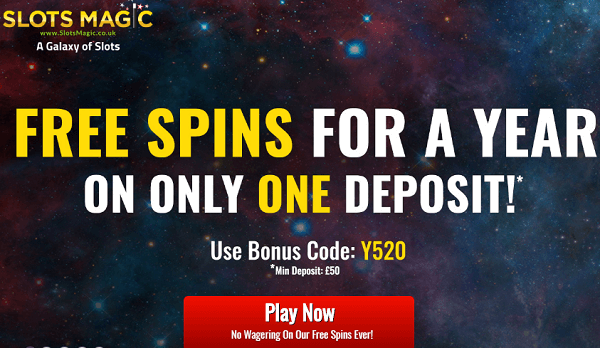 With every deposit, made in December, players are awarded free spin bonuses. If you want to enjoy these opportunities, hit the site at the end of this year.